This PMP free practice test is a short sampling of the type of questions you can expect to see on the new (6th Edition) Project Manager Professional (PMP) certification exam. You will notice that each of below sample question refers to the relevant page of the PMBOK 6th edition as well as Domain – Knowledge Area & Process. Towards the end of January 2018, CertBlaster will release a suite of full-featured exam simulations for PMP. These will be aligned on PMBOK 6th edition and the new PMP exam that will be released by the Project Management Institute (PMI) in March of 2018. The CertBlaster software will include 600 practice questions for the new version (2018) of the PMP exam. Click here for more information on the new and upcoming PMP exam update. In the meantime, we hope you will enjoy this PMP free practice test consisting of a mix of easy-medium-difficult level questions, just as at the exam. Sam is the project manager recently appointed to the IntelX project. While she was creating her project management plan, she found that the project business case contains some wrong information and should be updated. She decided to change this document and inform her sponsor and concerned stakeholders about the change. What is your advice to Sam? Explanation: The project managers do not update or modify the business documents, including the business case, since they are not project documents; however, they may make recommendations. Therefore, option (C) is the right answer. The other options are wrong as they are allowing the project manager to apply changes to the business case. James started to execute the Manage Quality process and he was looking for the acceptable level of project and product quality and how to ensure this level of quality in its deliverables and processes. Which document should James review? Explanation: The acceptable level of project and product quality and how to ensure this level of quality in its deliverables and processes are part of the information in the project management plan as it includes the quality management plan as one of its components, so, option (B) is the right answer. Options (1), and (3) are referring to inputs to the Manage Quality process, but do not include the mentioned quality information. Option (4) has an element that does not appear in the inputs of the Manage Quality process. Which of the following documents is created as a result of market demand? Option (3) is wrong as the benefits management plan is the documented explanation defining the processes for creating, maximizing, and sustaining the benefits provided by a project. Option (4) is wrong as there is no artifact in the PMBOK 6th Ed. called project information document. Option (1) is the right answer as the business case can be created as a result of a market demand to document the feasibility study used to establish the validity of the benefits of a selected component. As a project manager, you have this network diagram for a simple project and you are requested to identify the activity with the highest total float. Which of the following statements will be correct? Explanation: When analyzing the network diagram and adding the early start and early finish in the forward path for each activity, you will have the displayed chart with the red representing the early start and early finish as per the chart legend. 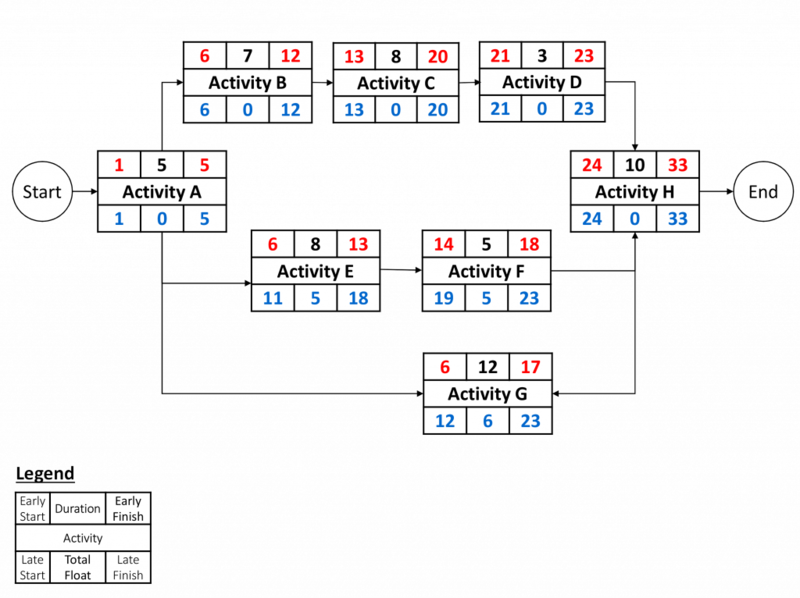 Then, adding the late finish and the late start in the backward path for each activity in blue color, and calculate the total float for each activity as shown in the chart. Activity G has total float equals to 6, which is the highest value, so, the right answer is option (1). Which of the following team can help in managing your project quality? Explanation: Manage Quality is considered the work of everybody, so, option (4) is the right answer. John is appointed as a project manager for Xenon project to create an auto traffic violation system in Yuro city. Currently, he started to gather the project requirements. John is going to meet many people and review many documents to get the required information. Who should he meet to get the project requirements? Explanation: Options (1), (2), and (3) have project key stakeholders who can help in providing the project requirements. Therefore, option (4) is the right answer. John is appointed as a project manager for Xenon project to create an auto traffic violation system in Yuro city. He has started to gather the project requirements. John is going to meet many people and review many documents to get the required information. Which of the following documents are qualified for the project requirements? Explanation: Option (1) is wrong as project initial risk document is not a valid document to be used in collecting requirements, but it contains the list of risks initially identified in the project. 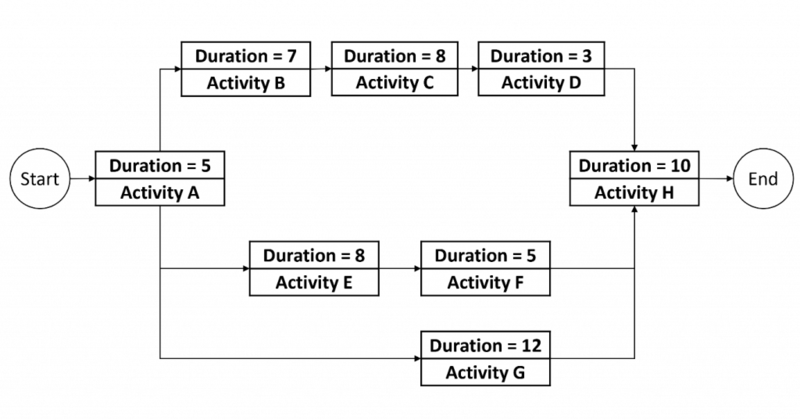 Option (3) is wrong as the project high-level schedule is not a valid source to collect requirements, but it is used to group the high-level activities in the project. The documented needs and expectations of the sponsor and other concerned stakeholders are used for requirements collection, so, option (2) is the right choice. Explanation: Option (1) is wrong as the accepted deliverables are not part of the project management plan. Option (2) is wrong as it is too late to review the compliance of the project management plan with the organization standards. Option (3) is the right answer as the project manager reviews the project management plan in closing stage to ensure that all project work is completed and that the project has met its objectives. Amy starts to get acceptance of the completed project deliverables. Which process does Amy start to work with? Explanation: Option (1) is wrong as the Control Quality process is primarily concerned with the correctness of the deliverables and meeting the quality requirements specified for the deliverables. Option (2) is wrong as the Control Scope process is used to ensure that all requested changes and recommended corrective or preventive actions are processed through the Perform Integrated Change Control process. Option (4) is wrong as there is no process in the PMI standards called Accept Scope. The right answer is option (3) as the Validate Scope process is used to get acceptance of the completed project deliverables. Which of the following Project Documents can be considered input to the Validate Scope process? Explanation: Options (1) and (3) has project documents that are not related to the Validate Scope process, so, they are wrong choices. Requirements documentation is one of the project documents that can be used as input to the Validate Scope process, so, option (2) is the right answer. This concludes our 10 question of our PMP free practice test sample. In January of 2018, CertBlaster will be first to market with a premium suite of PMP practice tests. These will be full-featured exam simulations with grading and reporting. Come back and visit us as we will have a link to that product suite right here!